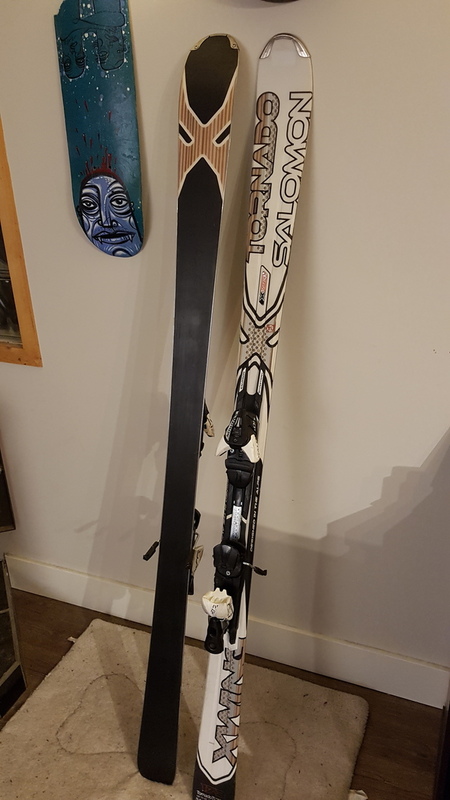 skis are in excellent shape no scratches at all they are waxed and sharpened ready to go. the are 173 cm and. 120 79 107. is the. dimensions with z12 bindings. full pulse pad. full woodcore. double titanium. i also have a set of skins. that fot them ill.throw in.